i am back from an aesthetic Laser treatment at SL Clinic. As you know , we all want to take care of our skin . That’s CLEAR. We all want radiant, youthful looking skin. That’s BRILLIANT. As technology advance, we want to take the advantage of it to have fresher, smoother and more brilliant from the inside out. My Review on Clear + Brilliant Laser Treatment. As you know, i always wish to have flawless skin that i dont even need to use loose powder. mayb juz sunblock and i am ready to go out. And i am glad to do my treatment at SL clinic for Clear + Brilliant. This is my very 1st time and indeed a good experience and my face looks even after 3 days now. you will have some numbing cream on the face just incase you are worried it hurts. otherwise, u can do without. the scan speed is adjusted to our individual needs and the Clear + Brilliant equipment was slowly scan through our skin. it is bearable pain and you can see in the video that it is done professionally. 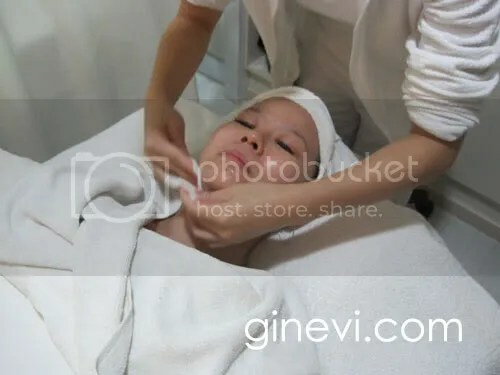 after the treatment, i was given a moisturising cooling mask and then the next day, i can feel some flaking and it is a good sign coz my skin is renewing and smoother skin will be reborn. i really love the glow in my face now after 3 days. it is all worth it. Really wish to recommand to anyone and everyone, whether u are a guy or a girl! TRY IT! Are you ready to take control of the aging process? Dr. Chua charges a reasonable price for a one time session of C+B. For Package rate, kindly call SL CLINIC Tel. 6235 3246 for more information. Look forward to a clear flawless skin? Clear and Brilliant at SL CLINIC is your choice!